More than one-quarter of US consumers (26%) say they are more likely to tell family, friends, and coworkers about a bad experience with a product or service than a good one, according to LoyaltyOne's COLLOQUY report. 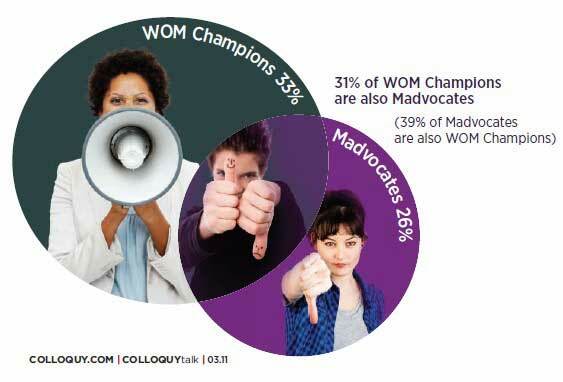 Such consumers—defined as "Madvocates" in the report—are predisposed to negative word-of-mouth (WOM) practices after suffering bad experiences with brands. Interestingly, loyal consumers are even more likely than the general population to sour on brands: 31% of "WOM Champions," consumers who are active promoters for the brands they love, say they are more likely to share a bad experience with a brand than a good one.